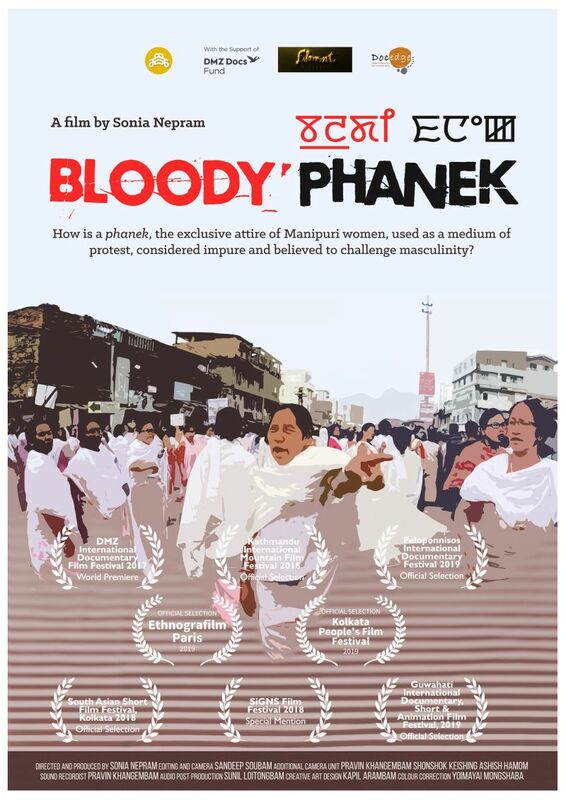 ‘Bloody Phanek’, a documentary film directed and produced by Sonia Nepram will be screened at the Ethnografilm Paris Film Festival, which will be held in France next week. Sonia will attend the screening at the festival scheduled from 16th - 20th April at the Ciné 13 Theatre, 1 Avenue Junot in Paris. Ninety-three films are expected to be screened at the festival co-sponsored by the International Social Science Council (ISSC) and the Society for Social Studies of Science (4S). The main sponsors, the International Science Council (ISC), has the mission of advancing the social sciences – their quality, novelty and utility – in all parts of the world and the Society for Social Studies of Science (4s), which is a non-profit, professional association, has an objective to bring together those interested in understanding science, technology, and medicine, including their social contexts. Ethnografilm is also supported by several organisations including the Video Ethnography Laboratory, the Centre for the Study of Gender and Sexuality, Kent State University and the Centre for Population and Development, Paris. Sonia Nepram’s film Bloody Phanek, which is based on the exclusive attire worn by Manipuri women, blends the personal and the political. It starts from a personal impression that began from the earliest memories of the filmmaker’s life. The film is a narrative about how women use phanek as a medium of protest, while it explores the concept of impurity embedded with a phanek and how this attire challenges masculinity from cultural and traditional perspectives. The film is supported by DMZ Doc South Korea. It was also premiered at the 9th DMZ International Documentary Film Festival that was held at Gyeonggi-do in South Korea in 2017. Since then it has been screened in various film festivals held in India and abroad. The cinematographer and editor of the film is Sandeep Soubam from Sagolband Nepra Menjor Mamang Leikai. Director Sonia Nepram is the daughter of Sorojini Konjengbam and Late Biren Nepram from Uripok Haobam Dewan Leikai. She is also an alumnus of AJK Mass Communication Research Centre, Jamia Millia Islamia, New Delhi.